As adults, we know what we need to do to stay healthy - be active, eat well, and get plenty of rest. As parents, we encourage these habits in our children as well. Physical activity is important for the entire family, even our infants. During the first year of life, an infant works on developing gross motor skills and through this process strengthens muscles, builds bones, stimulates the senses, and learns how to move. The trial and error of early movement and independence developed by learning how to move builds their confidence and sets the foundation for a lifetime of movement. We can encourage MOVEMENT in our babies by providing a stimulating environment and interacting with them. The way we hold our babies, the positions we put them in, the equipment they spend time in, and the toys we give them to interact with can all influence the ways that our babies learn to move. 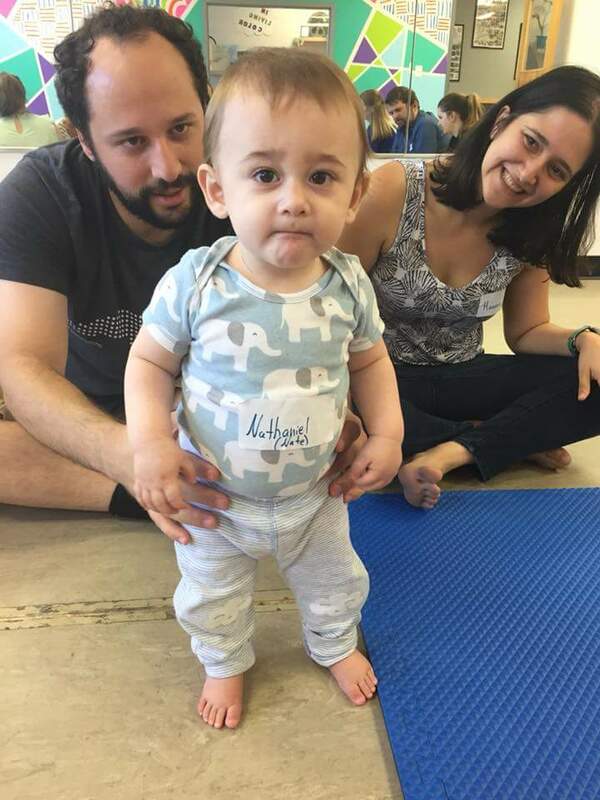 Helping our babies strengthen their muscles from early on will help them to learn to roll, sit, crawl, stand and walk as infants which builds the foundation for playing sports, dancing, and exercising as they grow up. Babies have an innate drive to move. When we give them the OPPORTUNITY to move without containment and spend time in different positions, we allow them the freedom to learn about their world from a new perspective. Prolonged time in anything that restricts their movement should be avoided to afford them these opportunities. Rather than focusing on spending one extended period working with our babies, we should offer them various opportunities to be uncontained and play throughout the day. These small moments add up to create a rich experience of practice and learning for baby. 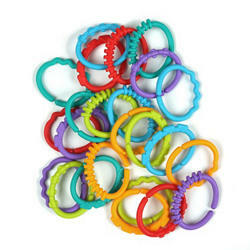 For infants, VARIETY is the spice of life, just as it is for adults. Spending time on their back helps babies to strengthen their muscles differently than it does when spending time on their tummy. Sitting up gives a new vantage point compared to being on their side, and standing opens a whole new world of possibilities for our infants. Each of these different positions encourages our babies to use their muscles in different ways, as well as offering them new sensory experiences, opportunities, and challenges. 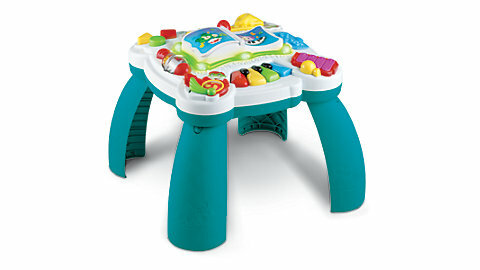 A variety of environments for baby to explore will also stimulate their desire to move and play. Remember that for infants, a small change in their environment can offer lots of new experiences and information. Switch up the room in your house where you play with baby to give him new things to look at. Take a blanket outside and let your baby enjoy playing in the fresh air too. Moving our infants through a variety of positions and environments throughout the day not only keeps boredom at bay but it is also provides them with the EXPERIENCE they need to learn and master new skills. The more experience they have, the more confident they will be in their movement abilities. Just as adults learn to master skills by practicing, your baby will practice movements over and over as they fine tune their abilities and move on to new challenges. Every developmental position provides our infants with opportunities to strengthen their muscles, get different sensory information, and see their world in a new and different way. Without all of these experiences, the path for motor development can be bumpy, with babies having difficulty mastering new skills. So the next time you are playing with your baby, don’t forget to MOVE! What shoes should I buy for my baby? This is one of the questions we are frequently asked at Babies On The MOVE. Shoes for an infant can be thought of as a simple foot covering. That is, the shoe does not need to have a stiff sole or be particularly supportive. Infant's feet develop over time based on the ways that they use their muscles, grip with their toes, and have weight on their feet. Allowing them the freedom to move their feet naturally will help them to develop the arches of the foot and model their bones as they grow. For infants who are not yet walking, it is ideal to allow them to be barefoot whenever possible. When the weather or environment requires their feet to be covered, socks with a grip or a soft shoe are good options. Infants and toddlers who are on their feet more frequently may need to have shoes to protect their feet, especially when they are outside. Choosing shoes can be as simple as a "bend and twist" test. When you are holding the shoe in your hand, you should be able to bend it in half and twist in lengthwise fairly easily. A shoe that allows this will offer your child the flexibility that he needs to allow his little feet to move and grip inside of the shoe. A stiff sole can make it more difficult for your little one to walk and make tripping more likely. Additionally, the weight of the shoe can be difficult for a toddler to contend with...another factor that may make them more likely to fall. Finally, when buying shoes for your toddler, don't feel obligated to spend big bucks on name brands or fancy shoes. 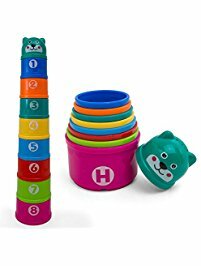 While some of these name brands are great options for kids, there are many reasonable options out there that will serve them just as well. Remember that a pair of shoes may only last your toddler 4-6 months before they are outgrowing them and moving on to a new pair. To help your toddler maximize her opportunity to strengthen her muscles and develop her arches, choose well fitting shoes with some room for growth that are flexible in all directions. Happy shoe shopping! We are very excited to tell you that Susan from Kindervillage Music Studio will be with us at Open Arts dance studio in Morrisville, NC on June 9, 2017 at 12:00 noon to provide a FREE trial Kindermusik class to parents and babies who have attended our classes. We will have our monthly Mini Movers and Master Movers classes in the studio that morning, and following class the free trial Kindermusik class will start at noon. 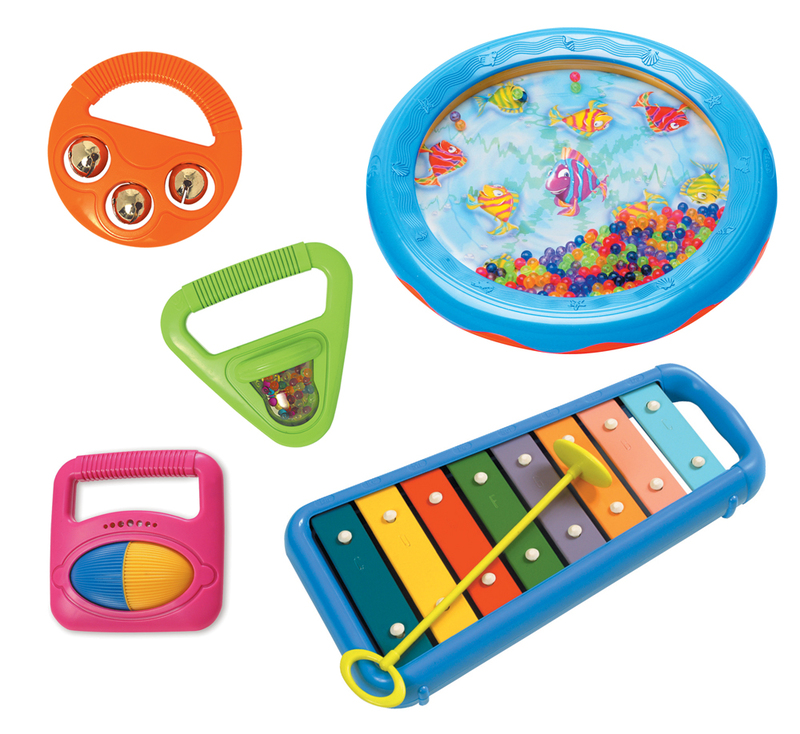 The Kindervillage music studio's website states, "Kindermusik is a classroom learning experience. We teach children music so they can become better learners. It's not about making little Mozarts. It's about developing skills in the whole child - ages newborn to 7 years - cognitive, physical, social, emotional, language and musical. For more than 25 years, we have believed music is the best conductor for learning." We invite all parents and children who are currently attending our classes or who have attended our classes in the past to attend this FREE trial class! Motor Development: Basics and Beyond Series @ Baby + Co.
We are excited to announce that we are offering a new series of classes at Baby + Co in Cary, NC in May and June 2017! 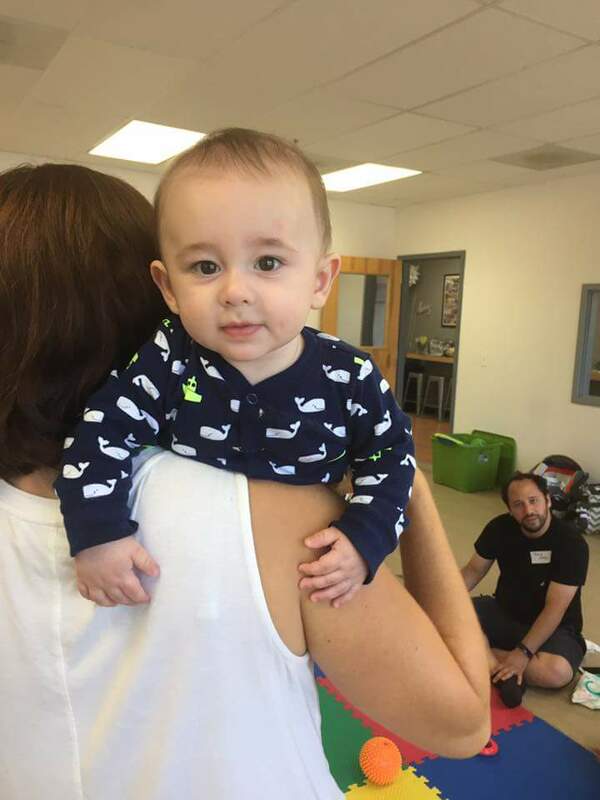 Whether your infant needs help learning to enjoy tummy time or find his way to hands and knees for crawling, these skill specific classes offer a variety of ways to help your baby master motor development.